BR and Reclaimed Room Holiday Shin-dig THURSDAY! It’s time for our holiday shin-dig RE-DO. 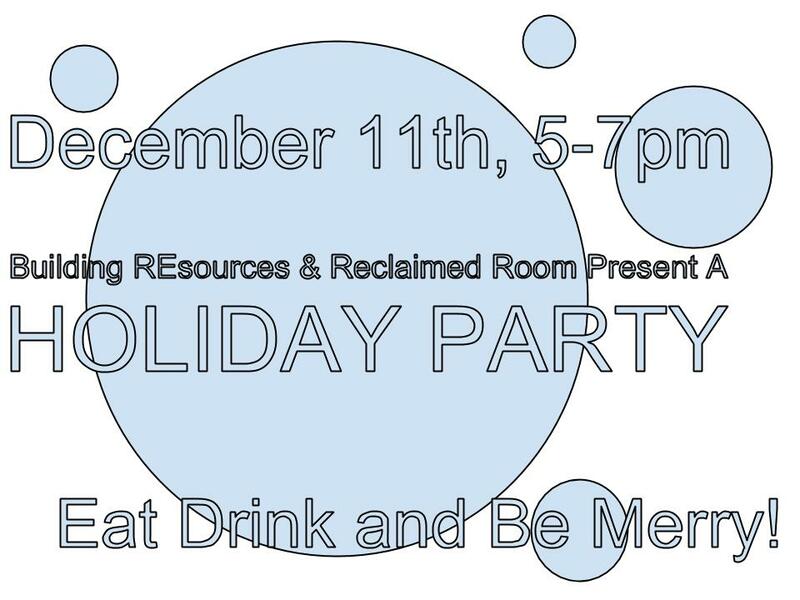 Please join us this Thursday for our first annual holiday party! Celebrate the staff, patrons and artists that make up the BR and Re Room community! The Worker’s Show is still in effect so this is also your last chance to pick up a unique last minute gift for a friend or for yourself. This has been our highest grossing show to date! Don’t miss out! And, mark your calendars for the new year. January 17th, we premiere our first photography based display with Shantre Pinkney’s Less We Forget, portraits of the Bayview community and Mitch Nelles with portraits of our favorite place in the Bayview-the Building REsources yard! Framed by abstract sculptures from artist Keith Wilson and gorgeous Temari works by Mariana Nelson. 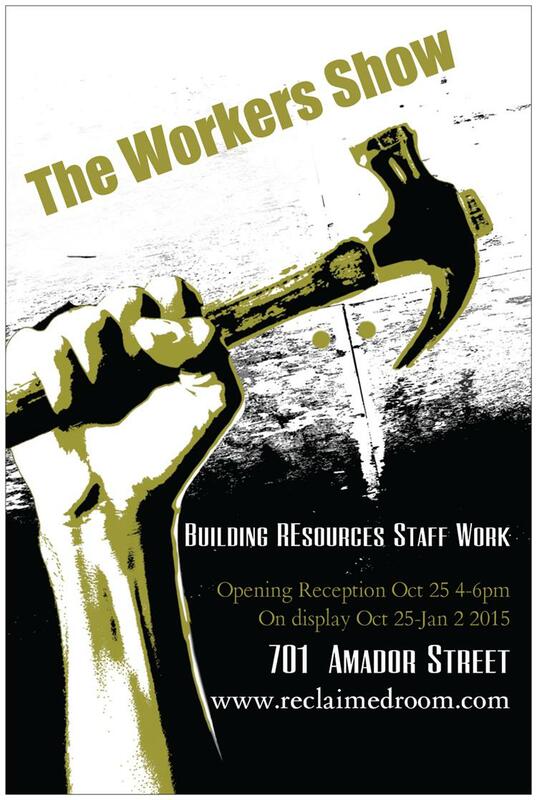 Congratulations are in order for the staff artists at Building Resources. As part of our Worker’s Show, staff from BR brought out their artistic endeavors for display. All kinds of fabulous pieces came out of the woodwork as the opening night approached. Unique furniture designs, gorgeous planters, photography, a chopper bicycle, bird houses, mosaics, sculptures and more. And, since our gallery started in June of 2013, this has been our highest grossing show to date. Wow! Thanks to the community for coming out and supporting the staff artists here at Building REsources. For those who haven’t made it in, you have one more chance to celebrate with our staff, artists, patrons and friends. We are hosting our first ANNUAL Holiday Shin-dig. Join us December 11th from 5-7pm to take in the glory of the workers show and mingle with the people who have made this place run from the ground up. On display are works by Matthew, Angel, Remy, Dan, Micah, Jason, Archie, Sergio and MORE! Join US!